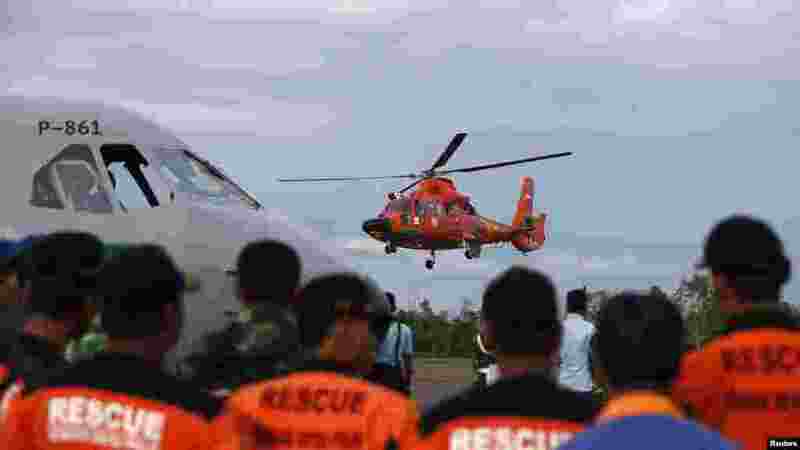 1 An Indonesian Search and Rescue helicopter takes off after delivering the remains of a passenger onboard the AirAsia QZ8501 flight, at the airport in Pangkalan Bun, Central Kalimantan, January 1, 2015. 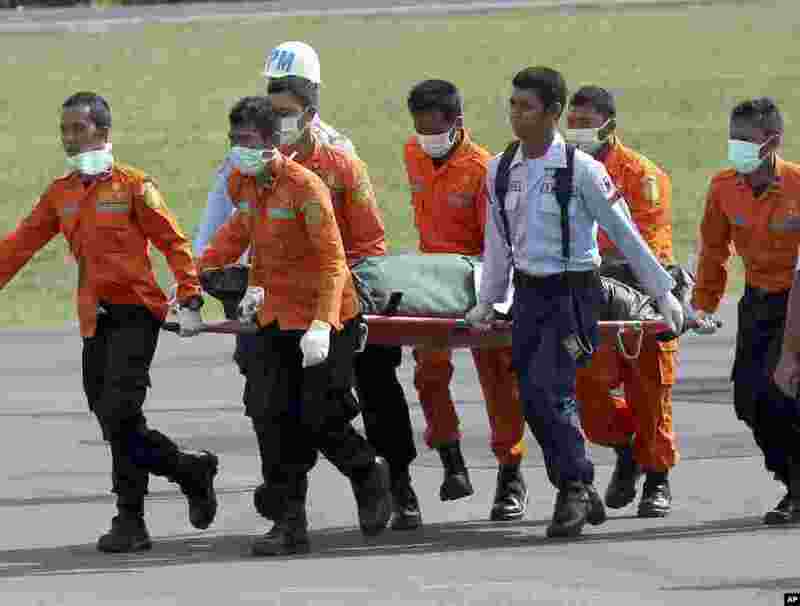 2 National Search and Rescue Agency (BASARNAS) personnel carry the body of a victim on board the ill-fated AirAsia Flight 8501, from a helicopter upon arrival at the airport in Pangkalan Bun, Indonesia, Jan. 1, 2015. 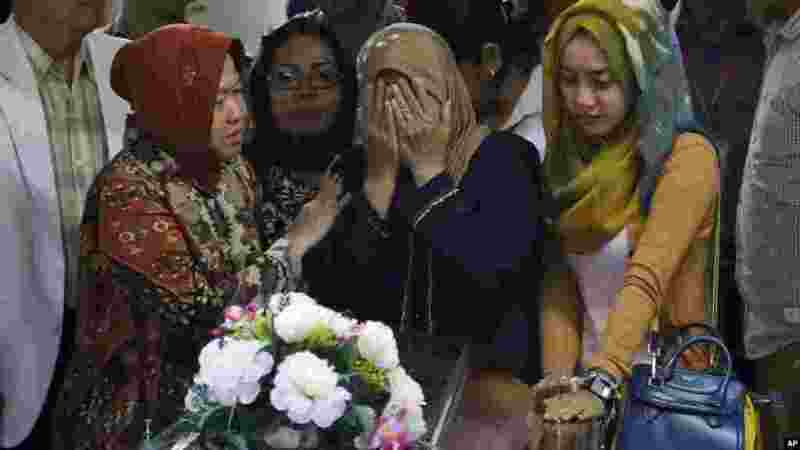 3 A relative weeps during the handover of the body of Hayati Lutfiah Hamid, one of the victims of AirAsia Flight 8501, to her family at the police hospital in Surabaya, East Java, Indonesia, Jan. 1, 2015. 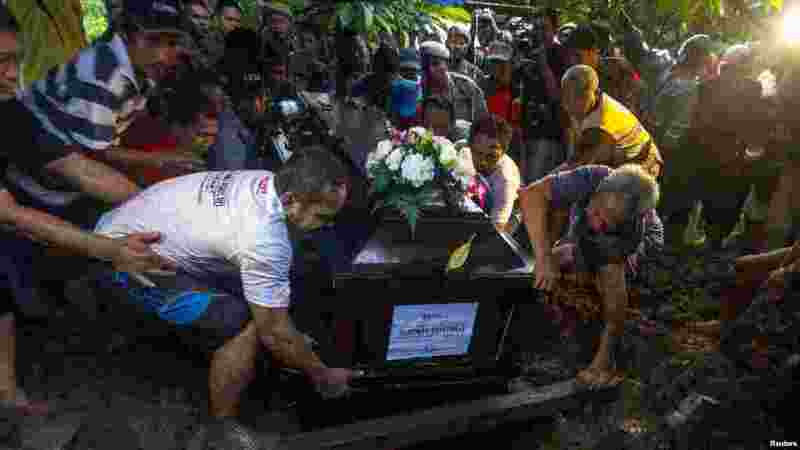 4 Relatives lower the coffin containing the body of Hayati Lutfiah, a passenger of AirAsia Flight 8501, during her burial at a cemetery in Surabaya, Jan. 1, 2015.